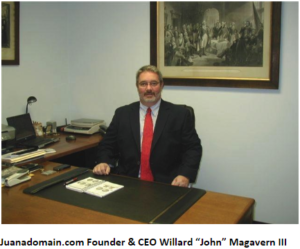 My name is Willard John Magavern III, but I go by John. I come from a long line of lawyers dating back to 1826 in the Buffalo area, although that wasn’t going to be my path… as much as my family had hoped. I was a late bloomer, first trying my hand in the restaurant industry with my own successful mobile food service from 1994-2001, but I knew there was more out there waiting for me doing something I was truly passionate about. I became active in numismatics in my late teens when a good friend (Michael J. Weidemann) gave me an 1884-S Morgan dollar from a small group of silver dollars his father had given him. From there I started collecting Morgan dollars and reading books on coins. Around the third book (The Cherry Picker’s Guide to Rare Die Varieties) I wrote the two authors, J.T. Stanton and Bill Fivaz, hoping to visit one of them in Georgia to further my knowledge. Both responded to my letter in a very timely manner, but it was J.T. Stanton whom I would fly out to see. JT’s vast knowledge, and more importantly, his willingness to share both his time and experiences with me, led me to the decision to become a professional numismatist. It was through his advice that I joined the American Numismatic Association and began taking classes on coin grading and counterfeit detection as well as numerous other courses over the years. Now twenty-some years later I’m a successful wholesale coin dealer in Buffalo NY looking to purchase all U.S. Coin Collections large or small. And it was all thanks to Michael and JT! In 2016 I decided I wanted to be a part of the rapidly growing Cannabis Industry. Living in New York where the current laws make this quite difficult and costly, I knew I didn’t want to wait until they changed to enter this arena. Due to local and federal laws, I decided to enter an ancillary sector of the industry where I wouldn’t have any contact with the product. Having dabbled in domain names prior, I decided to enter into this niche of the market. With that said, Juanadomain was born. I currently own 1800+ cannabis domains covering all areas of the market from recreational, medical, edibles, extraction, CBD, THC, testing, research, vapes, concentrates and all other relevant businesses within the industry. I have taken great time and thought in creating this Cannabis Branding Gateway. It was always my desire to stand out from my competition by going the extra mile. Hence, the idea to dress up my domains much like you would dress up a house prior to selling it. How do you dress up a domain? You give it a logo, now creating a Brand. This is the route I have taken at Juanadomain. I hope you enjoy my site and I look forward to negotiating with all potential buyers and end users. 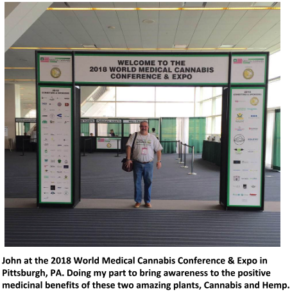 Also, of great importance to me, is bringing education and awareness to the masses on all the amazing medicinal properties of the cannabis and hemp plants. “Advocacy through Education,” I like to say. For anyone who hasn’t familiarized yourself with the rapidly blooming cannabis industry, not only in our country, but internationally, I suggest you do so. Don’t miss out on all of the opportunities available for both consumers and entrepreneurs. Green Flower Media, Ganjapreneur, and NCIA are all excellent sources of intelligent, up to date information covering all areas of this growing market. For those already on board, take the time to join both local and national advocacy groups and let your voices be heard. There is power in numbers, but even more so when it comes from an educated voice. Help shine a positive light on Cannabis awareness and legalization.